Compared with 50 years ago we throw masses of stuff away. This means more raw materials are used up to make the stuff that we buy, processing and transport uses energy, and disposal of the rubbish uses energy and causes serious pollution. 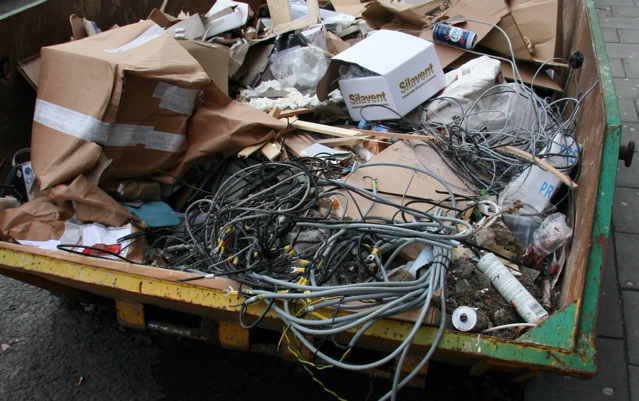 The pollution in landfill comes from food waste, batteries, and other damaging chemicals. Having our rubbish collected for us creates the illusion that it’s not really our problem or our fault – surely the Council must solve it? And aren’t the manufacturers to blame? Partly yes, but we as consumers and householders can make a massive difference. It’s all of us who’ll pay the costs in the long run. Plastic bottles didn’t exist before the 1950s. Now Britain uses 15 million a day. None of them have decayed yet and they litter the planet from pole to pole. How many of them are really essential? Each year in the UK 8 billion plastic bags are given free to customers. That’s 250 per second. What’s wrong with a stout shopping bag? Plastic bag use in Ireland has decreased by 95% since a 9p charge was introduced. You can support legislation to bring in a similar charge in England. It takes the same amount of energy to make 20 aluminium cans from recycling, as it takes to make one from new. Each year in the UK we use 12 billion cans. Not nearly enough of them are recycled. 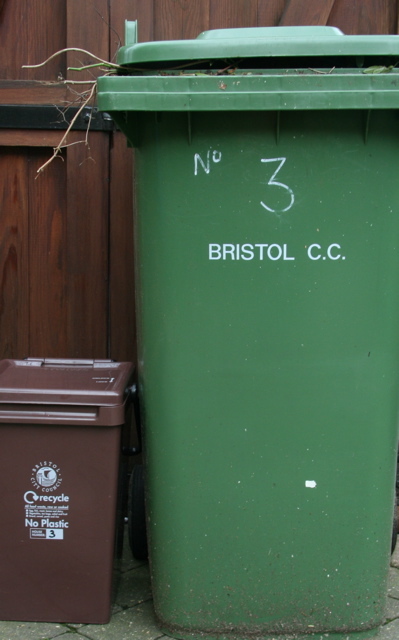 And finally, the recycling of plastic is a vexed issue in Bristol and everywhere. Local people have petitioned for kerbside recycling of plastic, but the Council found that in a pilot scheme lots of plastic bottles just blew away and caused litter. 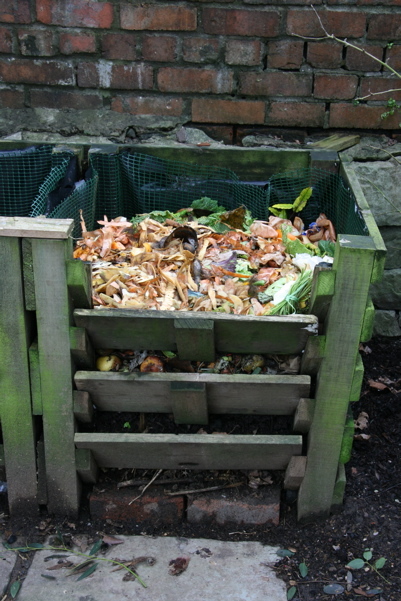 The result is that for the time being we have collection points – our nearest is by the Roo Bar at Clifton Down Station. There are many technical problems relating to the type of plastic, and the fact that it is shipped all the way to China to be recycled. In some parts of England householders put their plastic in their recycling wheelie bins, but contamination means that this may not be sorted and recycled. So, for now, the message is avoid buying things in plastic bottles and packaging as far as possible, reuse what you can, and take any with the number 1, 2, or PET in the three triangles sign to the collection point at Clifton Down.